Aero’s zebra rug is doing a good job. In general, he is noticeably less bothered by the flies than Flurry and MoMo. The weather has been getting steadily warmer and the flies have been getting steadily worse. There are loads of the small annoying ones that go into their ears, so he’s shaking his head a lot and he just looooves it when I stick my fingers in his ears and give him a good scratch. 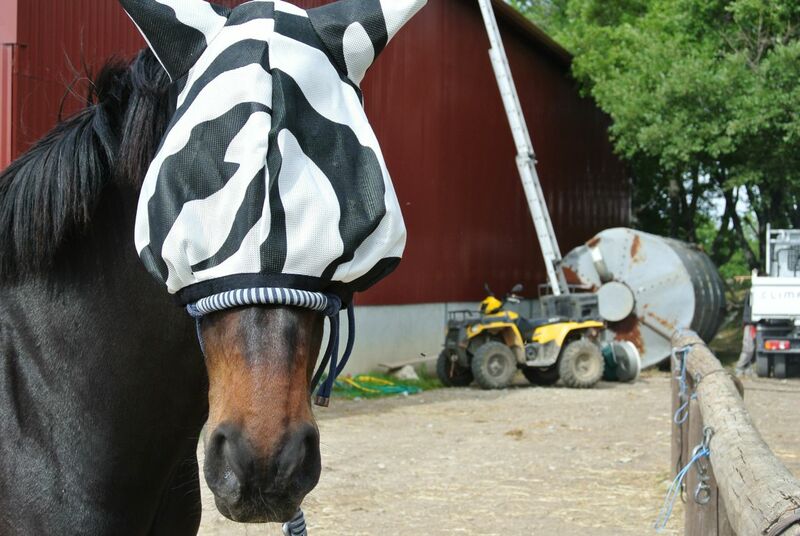 I always use the fly bonnet when I ride him now, and I’ve been toying with the idea of using the zebra striped fly mask that came with the Bucas Zebra rug. The thing is, I’m not sure he’ll be able to see clearly through it. A few of us tried it on to see. It IS possible to see through it, but looking through the different coloured stripes is different. 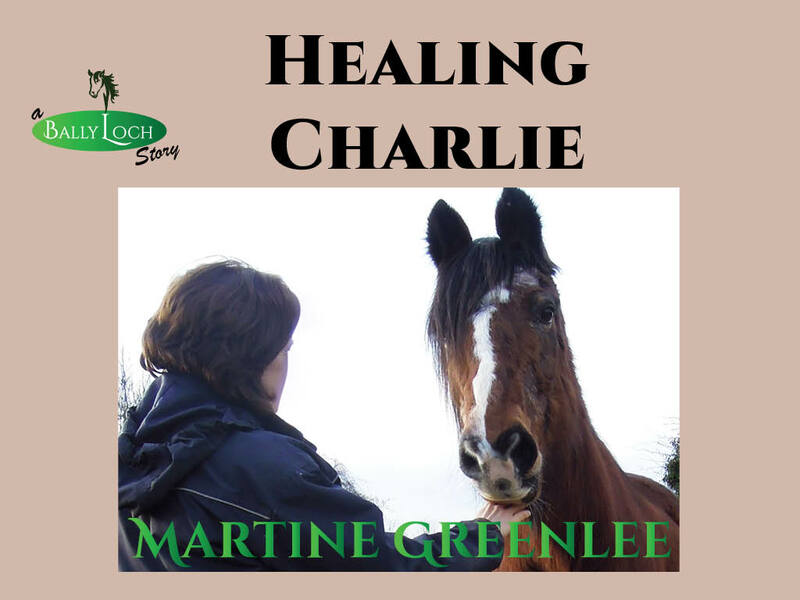 My gut feeling is that it would be fine on a horse in a clean, fenced pasture full of grass, but my horses live in a paddock full of scrub oak, juniper and pine trees. Don’t get me wrong – I love their paddock. 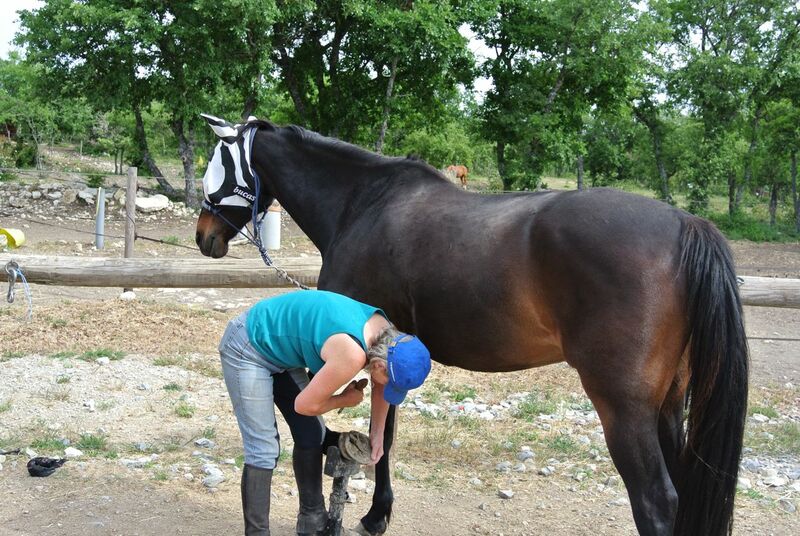 It’s ideal for barefoot horses. But I’d be worried about Aero poking an eye out on a branch he hadn’t seen if he’s wearing the zebra mask. At the very least, I reckon he’d pull it off on a branch as he walks around. So, for the moment, I’ll just use it to give him a bit of relief from the flies when I’m doing routine maintenance on his feet. If I remember rightly, the little ‘ear’ flies died down later on in the summer. If not, I will try the plain mask that came with his old fly rug. Have any of my readers used the zebra fly mask? I know nothing about the zebra mask. We have a lot of gnats this year…more than I can remember. 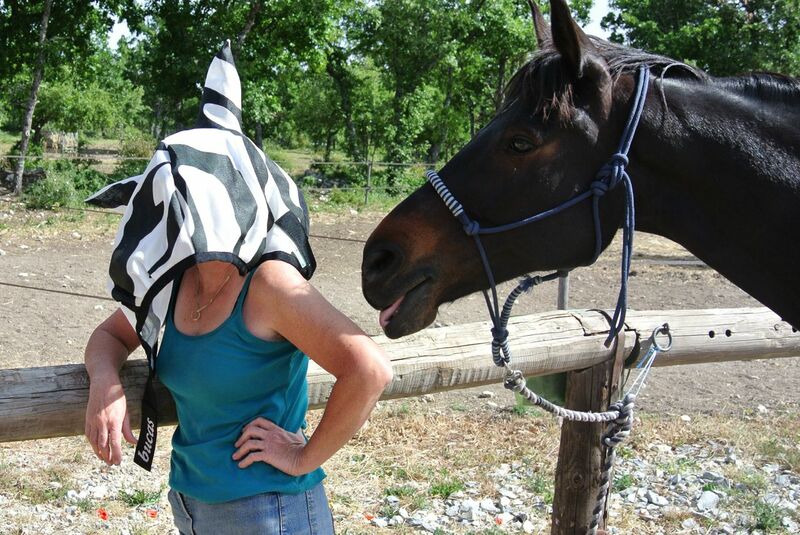 My horses wear masks all day when they are out in the pastures and they keep them on 90% of the time. I love them and so do they.I sure would not want those bugs around me all day. First off, let me compliment you on his color. I adore that deep bay (it’s my favorite color.). It’s obvious that Bucas doesn’t employ biologists. They got the idea of zebra stripes right, in that it’s been recently proven that a zebra is striped because the stripes confuse and interfere with the vision of the flies and biting insects that plague them. But Bucas just seemingly threw a black and white swath of fabric together and called it a fly mask. So it’s not working as well as it should. A little tweaking will do the trick, I think! I would do two things: one, get a plain ol’ white or gray fly mask (with ears) and mark it myself. And two, before I marked it, I’d get a nice picture of a zebra’s face/head markings and go by it as exactly as I could. If you look at the markings on a zebra’s head, the eye is ringed with white, and the black stripes lead down the nasal ridge all the way to the black (or brown) muzzle. The stripes below the eye lead downwards. The cheek stripes are almost like scallops. The stripes are almost artistic in a backwards way, leading one’s attention anywhere but the eyes. The point being, mark it up, hewing as closely as you can manage to the pattern a zebra sports, but leave the area where his eyes are unmarked. By the way, and this is just a tidbit that delights the biologist in me..zebras are black animals with white stripes. NOT the opposite. Sometimes they’re born with opposite stripes, meaning…well, I’ll ahve to post a picture on my blog, becauase I’m not smart enough to post a picture on a comment. 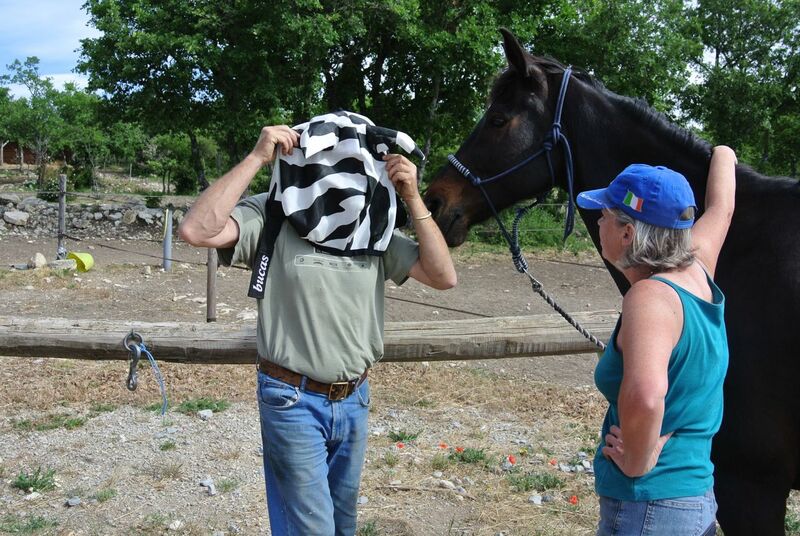 There is a woman at my barn (from the UK, actually), who has the Bucas zebra fly sheet and mask on her two horses. They are on turnout, one of them in a paddock that gets adjusted in size regularly as he’s recovering from a surgery, and have done fine with them. They also have the neck rug, and one of the two of them has a bright red grazing muzzle too – they look hilarious, but seem quite happy and fly-free. It’s hard to tell if the zebra mask would hinder their sight but I do love it on you! We use the Cashel Ride mask and it works well and I like it because it doesn’t seem as heavy as the other masks. Good luck with whatever mask you decide on. I like the Cashel Quiet Ride mask, although his face gets sweaty underneath. No-see-um netting is so fine I think it limits airflow. I like your blue fringe idea better–does that keep them off his face? Rider’s Warehouse sells something like that, or I could make my own adding to the bonnet, I suppose. Interesting about the zebra blanket. We’ve debated getting those for our horses so they don’t spend all day stamping away flies–wonder if they make leg covers in the same material? It’s really easy to modify the fly bonnet. I did it in 15 mins one evening two years ago when I was doing the trek with my friend. The baler twine needs to be long enough that the ends will be below their eyes so it doesn’t irritate them. I also teased out the individual strands a bit. I’ve also toyed with the idea of modifying my 2nd bonnet with some very light leather thongs that I have lying around somewhere. I’ll let you know how it works if I do it. I’m about to put stripes on Aero’s spare rug, using a can of black spray paint. I’ll let you know how that works, too! Cashell makes a nice mask that is meant for riding in, it has much lighter mesh over the eyes. 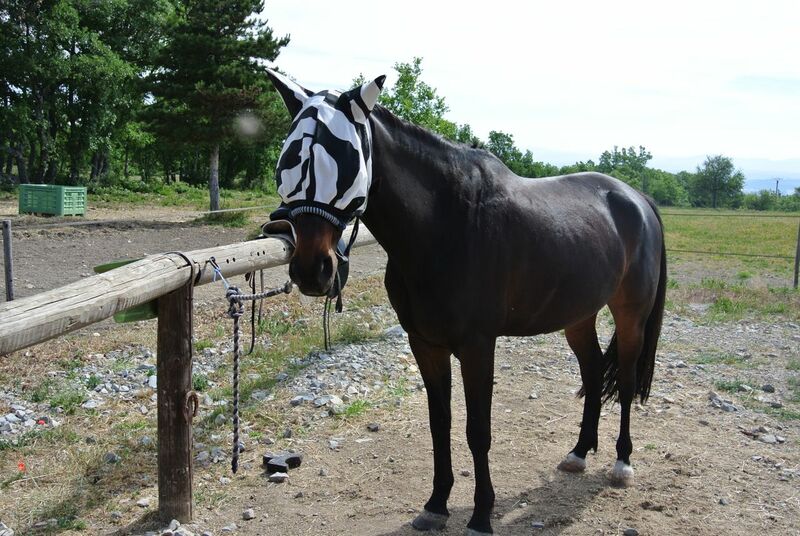 He would probably be fine in his pasture with the zebra mask. I think horses navigate familiar terrain a lot more by smell than we realize, they have scent markers in their hooves that mark a safe path. Not sure I’d want to ride in it though…. I should take photos of their ‘pasture’ so you see what I mean! There is some bare, stony ground but mostly it is thickets of scrub. Not unlike your woods, but the vegetation is not so high. That’s why I’m concerned about branches and thorns. 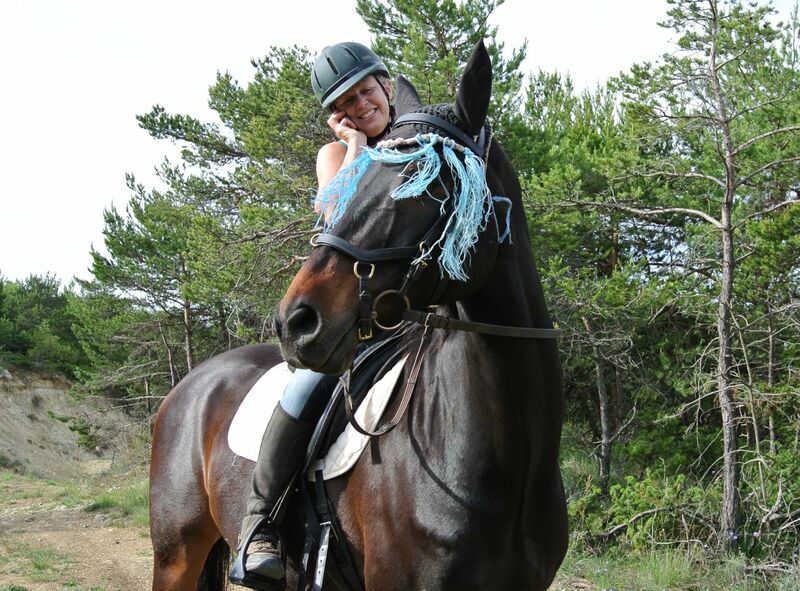 I second the Cashell fly masks, all of our horses have it and it is very good! I hate those ear bugs! They attack Shy’s ears and she hates it when I try and get them out. She has an Ultra Shield fly mask that is lighter and easier to see through. We didn’t realise he was sticking his tongue out until I loaded the photos into iPhoto. It’s a great shot! The Zebra fly mask will be perfect for Halloween. Lol yes, Stephen, & I saw some zebra striped t-shirts in Apt this week. I guess that’s my outfit sorted!